KEMAS: Jurnal Kesehatan Masyarakat [P-ISSN 1858-1196 | E-ISSN 2355-3596 | DOI 10.15294/kemas] publised by Universitas Negeri Semarang in collaboration with Ikatan Ahli Kesehatan Masyarakat Indonesia (IAKMI Tingkat Pusat) and Jejaring Nasional Pendidikan Kesehatan (JNPK). 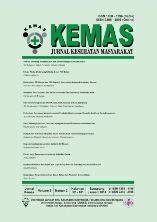 KEMAS publishes the article based on research or equivalent to research results in public health or other disciplines related to public health that has not been loaded/published by other media. The journal contains articles about epidemiology and biostatistics, health policy and administration, public health nutrition, environmental health, occupational health and safety, health promotion, reproductive health, maternal and child health, and other related articles in public health. 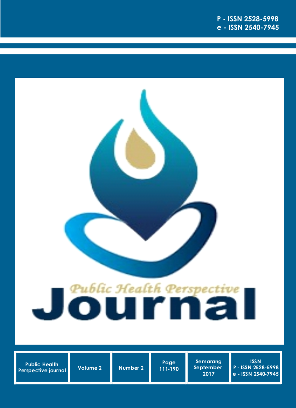 The journal can be used by health practitioners, health caregivers, teachers, medical students, and people who are interested in public health issues. The journal was first published in July 2005 and subsequently published twice a year, in July and January. KEMAS has been accredited by DIKTI starting in 2014 with an Accreditation Letter Number: 212/P/2014 and indexied by Sinta 2nd. Since 2017, the journal were published 3 times a year in July, November and March. Paramita Jornal is published by History Department, Faculty of Social Science collaborated with the organizers of Indonesia Historians Society (IHS). Paramita firstly was published in 1990 based on SIT: No. 100/ PT 36 H.FIS/ 1990 and ISSN: 0854-0039. Paramita also has elecronic ISSN: 2407-5825. Since 2016, Paramita has accredited (A) based on Keputusan Direktur Jenderal Penguatan Riset dan Pengembangan Kementerian Riset, Teknologi, dan Pendidikan Tinggi Republik Indonesia No: 36a/E/KPT/2016, was issued on 23 Mei 2016. Every year Paramita publish twenty article for two issues at March and September. The range of carried studies in the publication includes philosophy of history, historiography, history of education, and history education. At that time, the editorial staff of Paramita Journal is led by Prof. Dr. Wasino, M.Hum. Besides, the editorial members of Paramita Journal are : Prof. Nawiyanto, Ph.D, Prof. Dr. Nunuk Suryani, M.Pd., Dr. Cahyo Budi Utomo, Moh. Yasir Alimi, S.Ag., M.A., Ph.D., Tsabit Azinar Ahmad, M.Pd. The International editorial members are (1) Dr. Freek Colombijn, (2) Prof. Matthew Isac Cohen, (3) Assoc. Prof Hans Pols, The University of Sydney, Australia, dan (4) Dr. Vivek Neelakantan. 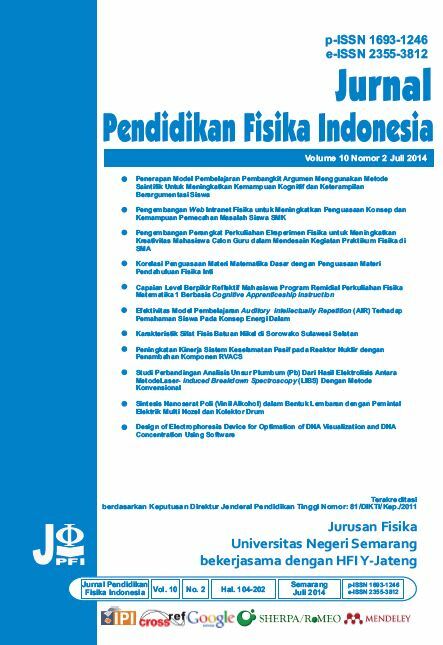 Jurnal Pendidikan Fisika Indonesia [p-ISSN 1693-1246 | e-ISSN 2355-3812] is a peer-reviewed journal published two times a year (January and July) by Department of Physics, Faculty of Mathematics and Natural Sciences, Universitas Negeri Semarang. Jurnal Pendidikan Fisika Indonesia is an integrated forum for communicating scientific advances in the field of physics and education physics. The journal reports significant new findings related to physics and education physics, including: learning media development, learning methods development, learning methods implementation and several application of physics. Jurnal Pendidikan Fisika Indonesia publishes comprehensive research articles and invited reviews by leading expert in the field. Papers will be selected that high scientific merit, impart important new knowledge, and are of high interest to physics and education physics community. Jurnal Pendidikan Fisika Indonesia has become a CrossRef member with DOI prefix: 10.15294.jpfi. Therefore, all articles published by the journal have unique DOI number. Pandecta Research Law Journal created to be a means of dissemination of the results of legal research for all researchers who have interest in the field. Through the dissemination of research results in the journal is expected to grow a network of researchers in the field of law according to their research interests. In addition, through the dissemination of the research is expected to develop the jurisprudence of the field of interest. The scope of this journal is the publication of research in the field of law, both written by researchers from the fields of law or other parties whose study is law. This journal is published twice in a year, that is on JUNE AND DECEMBER. Since the first edition this Journal is published twince in January and July every year untill the second edition of 2014 it was changed to June and December every year. 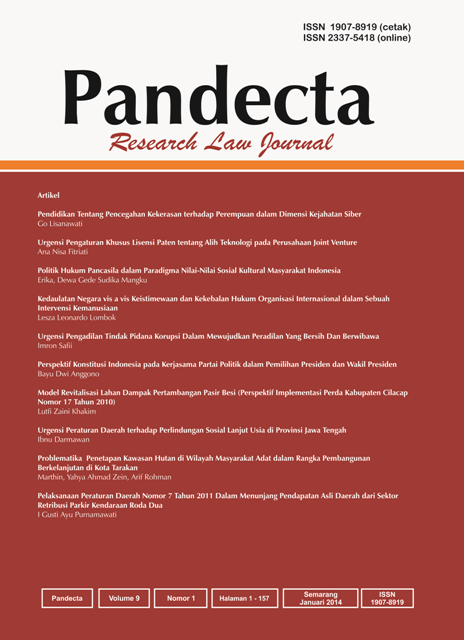 Already have a Username/Password for Pandecta: Research Law Journal? 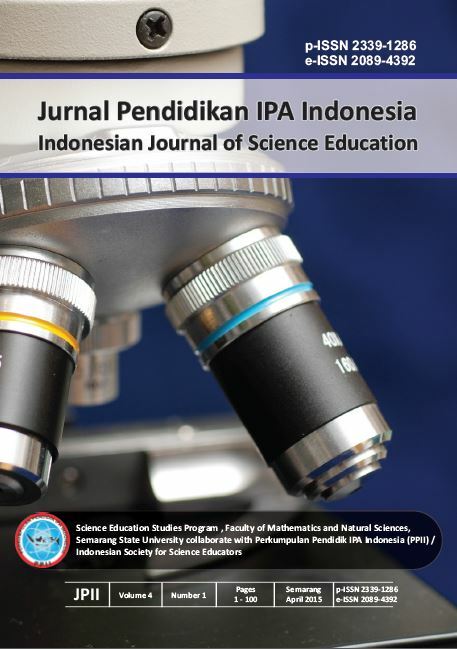 Jurnal Teknik Sipil dan Perencanaan [p-ISSN 1411-1772 | e-ISSN 2503-1899 | DOI 10.15294/jtsp] is an academic journal which biannualy published in April and October. We firstly published in 1999 as national journal of Department of Civil Engineering, Faculty of Engineering, Universitas Negeri Semarang. In 2016, JTSP was indexed in DOAJ with Green Tick critera. And in 2018, JTSP expands its range of article quality and publication through publishing English-language articles. 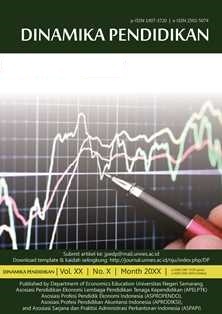 Published a scientific paper on the results of research and studies in the field of science and technology. Published biannually in June and December contained the writings lifted from the results of research and critical-analysis study in science and technology. 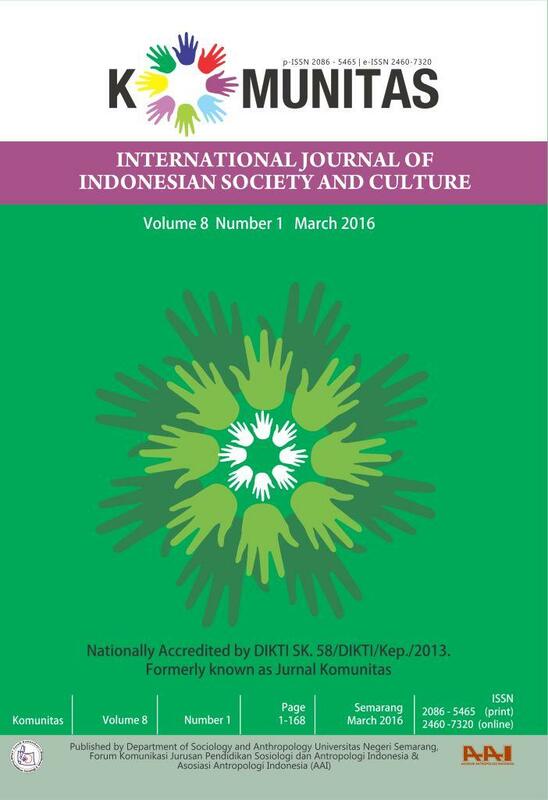 Jurnal Dinamika Akuntansi has become a CrossRef member with DOI prefix: 10.15294. Therefore, all articles published by the journal have unique DOI number. 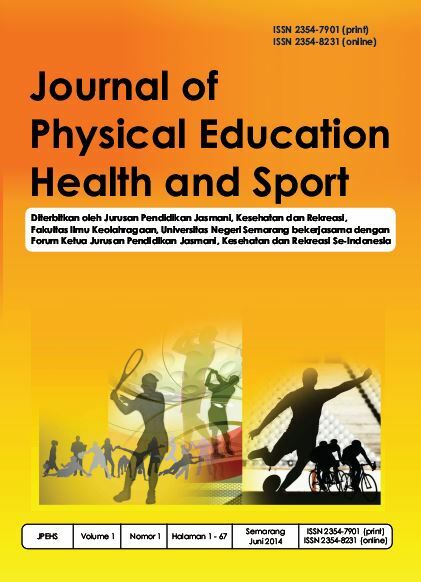 Journal of Physical Education Health and Sport is the Journal of the by the Physical Education and Sport Department Universitas Negeri Semarang. The Journal has a particular focus on physical education and sport research-based articles (approximately 7000 words) that make reference to other critical work in the field and/or discuss particular issues of practice-focused research within the specific professional fields of health, sport and physical education. Editorial will privilege those articles that explore and provide a depth of understanding of the complex inter-relationship between developing/improving practice through the production of knowledge. The Journal will focus on the forms, contents and contexts of health education, sport and physical education as they relate to schools, universities and other forms of educational provision. All manuscripts are read by the Editor and by two expert peer reviewers through a blind review process. 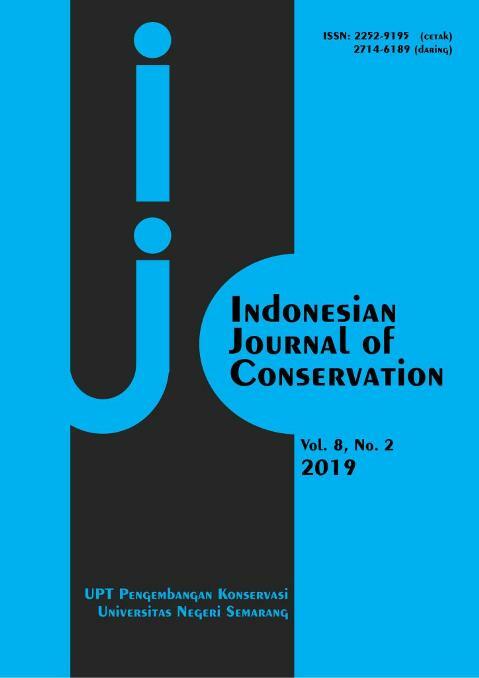 The Indonesian Journal of Conservation [p-ISSN 2252-9195] is a journal that publishes research articles and conservation-themed conservation studies, including biodiversity conservation, waste management, green architecture and internal transportation, clean energy, art conservation, ethics, and culture, and conservation cadres. The emphasis of the Media Ilmu Kolahragaan Indonesia is on the human sciences, broadly defined and applied to sport and exercise. Besides experimental work in human responses to exercise, the subjects covered will include human responses to technologies such as the design of sports equipment and playing facilities, research in training, selection, performance prediction or modification, and stress reduction or manifestation. Manuscripts considered for publication include those dealing with original investigations of exercise, validation of technological innovations in sport or comprehensive reviews of topics relevant to the scientific study of sport. 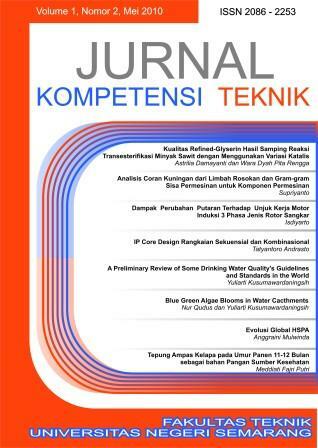 Jurnal Kompetensi Teknik is a 6 (six) monthly scientific journal, published every May and November. Contains articles of research or ideas of thought (conceptual) in the development of education, teaching and technology in the field of engineering. Dinamika Pendidikan (p-ISSN 1907-3720, e-ISSN 2502-5074) is a scientific periodical published by the Department of Economics Education, Faculty of Economics, Universitas Negeri Semarang collaborate with Asosiasi Profesi Pendidik Ekonomi Indonesia (ASPROPENDO), Asosiasi Profesi Pendidikan Akuntansi Indonesia (APRODIKSI), Asosiasi Sarjana dan Praktisi Administrasi Perkantoran Indonesia (ASPAPI) with the aim to promote creativity scholarly or academic lecturers from various institutions in general and the community UNNES internal academic specifically. The article published scientific literature contains research results, conceptually as well as reviews of books in the field of economic education, accounting education, and educational administration offices. First published in 2006, published in a year, June and December. Dinamika Pendidikan has become a CrossRef member with DOI prefix: 10.15294. Therefore, all articles published by the journal have unique DOI number. Forum Ilmu Sosial is a peer reviewed journal that covers the fields of scientific knowledge or academic that study social groups and human society. This journal published innovative research encompassed within the social sciences that include to sociology, anthropologhy, political science, history, geography and related disciplines. Contributions are welcome in any suitable form, including critical essays, reviews of significant topics, case studies, theoretical and empirical articles, and statistical analysis. 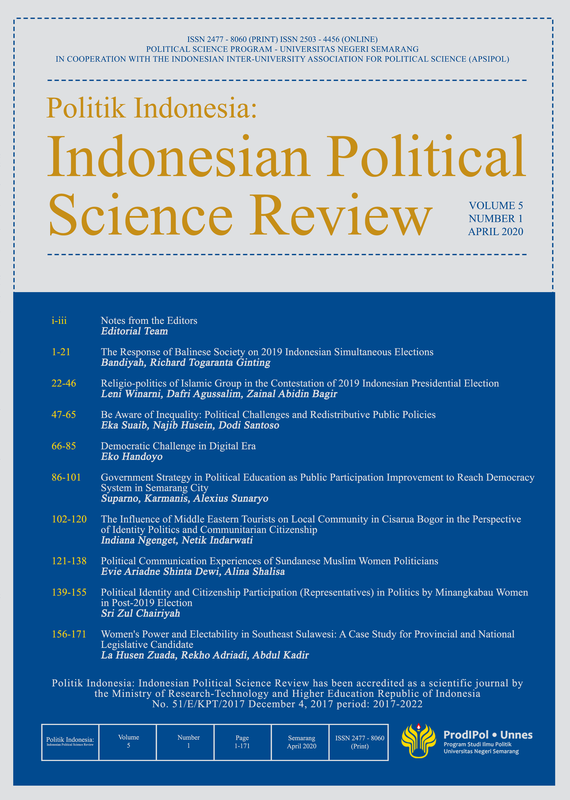 It has been published biannually since 2008 by the Faculty of Social Sciences, Universitas Negeri Semarang with registered number ISSN 1412-971X (print), ISSN 2549-0745 (online). 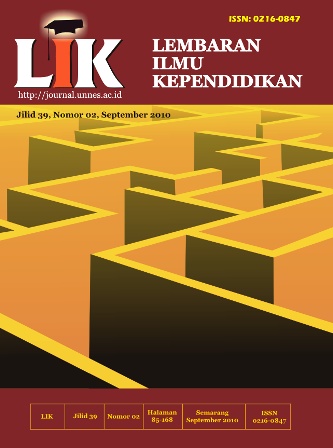 Forum Ilmu Sosial is an open access journal and also available in print. Integralistik is a peer reviewed journal that covers the fields of scientific knowledge or academic that civics education studies. The Integralistik is a academic journal that centered in citizenship studies i.e. civic education (curriculum, teaching, instructional media, and evaluation), political education, law education, moral education, and multicultural education. Contributions are welcome in any suitable form, including critical essays, reviews of significant topics, case studies, theoretical and empirical articles, and statistical analysis. It has been published biannually since 2010 with registered number p-ISSN 0853-7208 and e-ISSN 2549-5011. 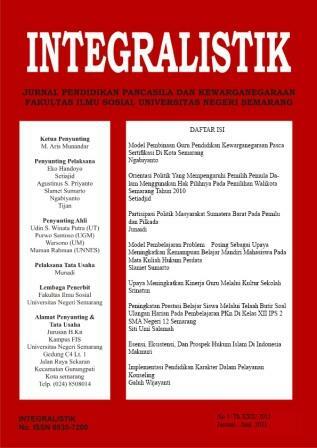 Integralistik journal published by Civic Education Program, Faculty of Social Sciences, Universitas Negeri Semarang in cooperation with Indonesia Association of Pancasila and Civic Education (Asosiasi Profesi Pendidikan Pancasila dan Kewarganegaraan Indonesia). And than, Integralistik journal is an open access journal and also available in print. Intuisi : Jurnal Psikologi Ilmiah�is the scientific publication media to accommodate ideas and innovation research results of psychology academicians and other experts who are interested in the field of Psychology.�Vision intuition is to encourage the development of science-based psychology�, indigenous psychology. 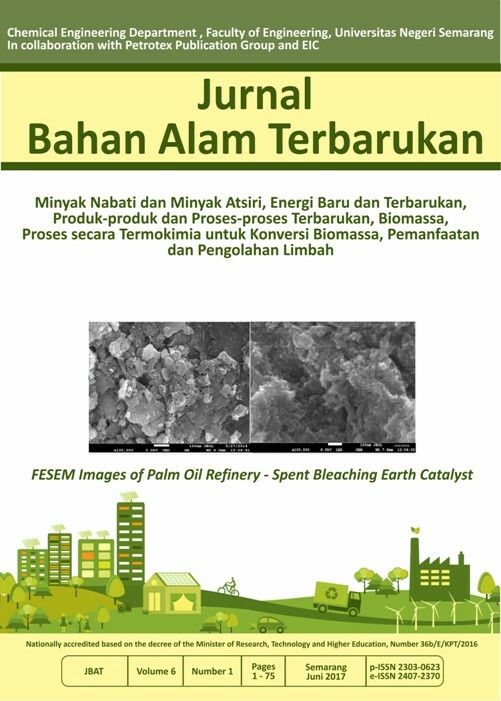 Jurnal Bahan Alam Terbaurkan is a scientific journal which is focusing on the research, development and applications in biomass conversion processes (thermo-chemical conversion; physicochemical conversion and bio-chemical conversion) and equipment to produce fuels, power, heat, and value-added chemicals from biomass. Since 2012, JBAT published 2 issues per year i.e. in June and December. In Period of 2012 to 2016 we published JBAT in Indonesian and English language. However, since June 2016 JBAT only published articles in English language and continue till now. In 2016, JBAT has been accredited by Directorate General of Research Empowering and Developments, Ministry of Research, Technology and Higher Education through SK 36b/E/KPT/2016 for the period of 2016-2021. JBAT has a printed and online standard serial number which is p-ISSN 2303-0623 (printed version) and e-ISSN 2407-2370 (electronic version). As an accredited journal, JBAT is conducting journal management by online included submission, review process and publication. 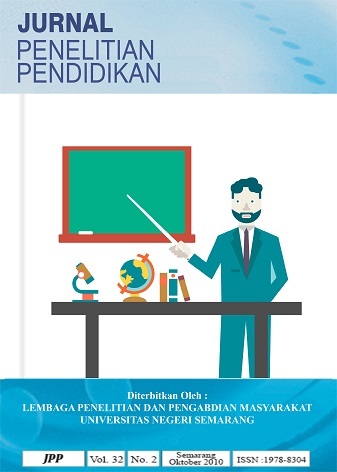 Jurnal Bahan Alam Terbaurkan is published by Chemical Engineering Department, Universitas Negeri Semarang and has collaboration with APTEKIM (Asosiasi Pendidikan Tinggi Teknik Kimia Indonesia), EIC (Engineering International Conference) and SNTK (Seminar Nasional Teknik Kimia) UNNES. 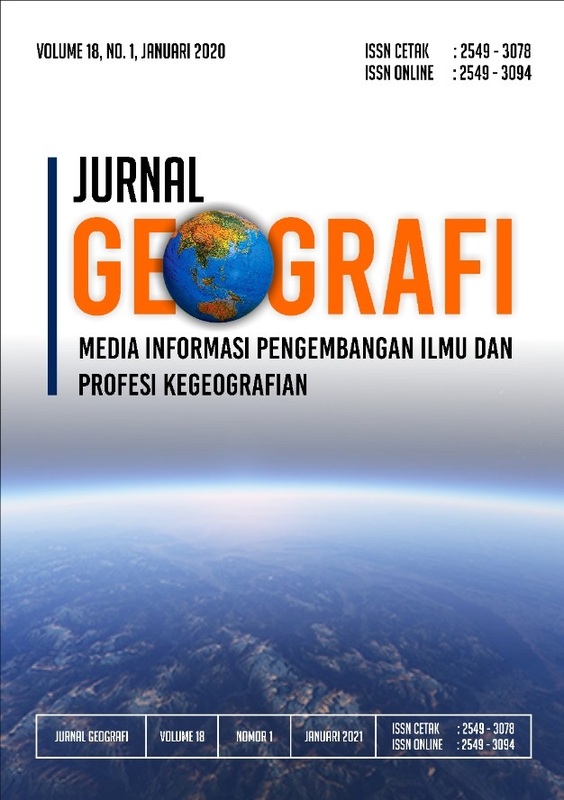 Jurnal Geografi : Media Informasi Pengembangan dan Profesi Kegeografian [p-ISSN 2549-3078 | e-ISSN 2549-3094 | DOI 10.15294/jg] Published Department of Geography, Faculty of Social Sciences, Universitas Negeri Semarang as an informtion media and discussion forum of research study and scientific article of geography and educational geography. The journal is published twice a year in January and July. Jurnal Konstitusi adalah salah satu media per-semester yang diterbitkan oleh Sekretariat Jenderal dan Kepaniteraan Mahkamah Konstitusi bekerja sama dengan Pusat Kajian Konstitusi sebagai upaya mempublikasikan ide dan gagasan mengenai hukum, konstitusi dan isu ketatanegaraan. Jurnal ini ditujukan bagi pakar dan para akademisi, praktisi, penyelenggara negara, kalangan LSM serta pemerhati dan penggiat hukum dan konstitusi serta masalah ketatanegaraan. The journal is published with a frequency of 2 (two) times a year with the amount of volume that varies. Articles can be the results of research, scientific studies, and the analysis and solving issues relevant to the field of electrical engineering and computer sciences, and has never been published in other scientific journals. 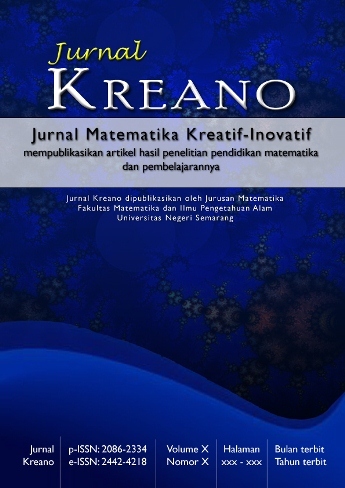 Kreano, Jurnal Matematika Kreatif Inovatif is well-knowned as Jurnal Kreano. Jurnal Kreano is published by Mathematics Department of Semarang State University in collaboration with AMLI (Asosiasi MIPA LPTK Indonesia - SK Kemenkumham) [Letter of Cooperation]. Kreano publishes the research issues on mathematics education, and could be experiment, research and development, or classroom action research. 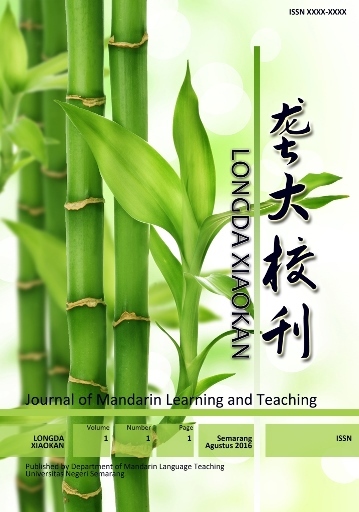 This Journal are bi-annual publication, on June and December. 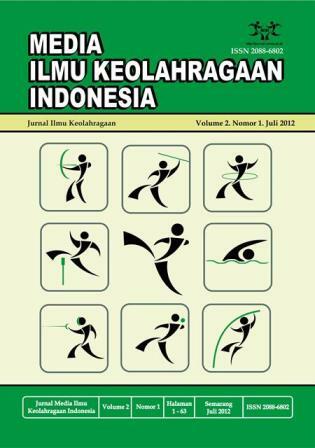 Jurnal Kreano has ISSN published by LIPI. p-ISSN: 2086-2334; e-ISSN: 2442-4218. 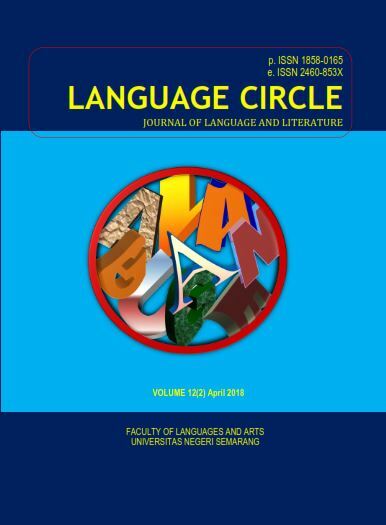 LANGUAGE CIRCLE Journal of Language and Literature, published twice a year (April and October) by the Faculty of Language and Arts Semarang State University. Jurnal Profesional (Jurnal Ilmiah Populer dan Teknologi Terapan) merupakan media informasi mutakhir bidang profesi Teknik Mesin. 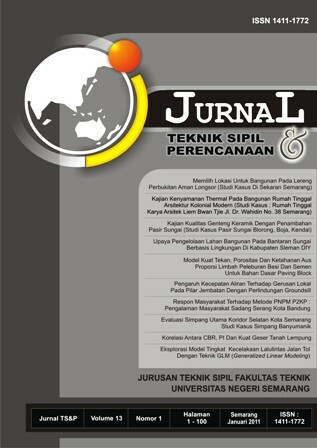 Jurnal ini memuat artikel yang berorientasi ilmiah populer dan teknologi terapan dalam bidang Teknik Mesin. Jurnal ini diterbitkan oleh Program Studi D3 Teknik Mesin Jusuan Teknik Mesin FT Unnes dan terbit dua kali setahun pada bulan Mei dan November. Teknobuga�Jurnal Teknologi Busana dan Boga�is a scientific periodical published by the Department of Mechanical and Production Services, Semarang State University Faculty of Engineering, with the aim to enhance the creativity of scholarly professors or academics from various institutions in general and the academic community intern Semarang State University in particular.�The article published scientific literature contains research results, conceptually, as well as book reviews in the field of production technology and culinary fashion. Physics Communications�publishes research papers in the broad field of physics; current areas of particular interest are reflected by the research interests and expertise of the CPC Editorial Board.�The focus is on contemporary methods and techniques and their implementation, the effectiveness of which will normally be demonstrated by the author(s) in the context of a substantive problem in physics. 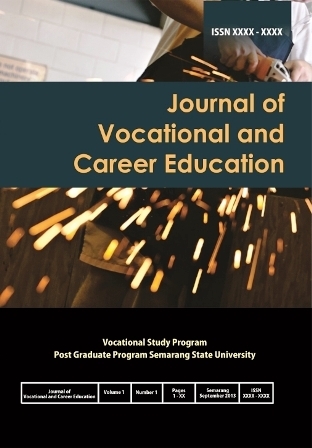 Journal of Nonformal Education (p-ISSN 2442-532X | e-ISSN 2528-4541) was published twice a year (February & August) by Postgraduate Program, Universitas Negeri Semarang, Indonesia. 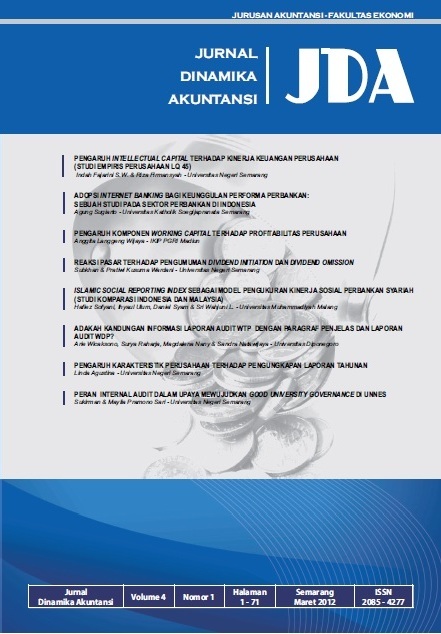 This Journal collaborates with Ikatan Akademisi Pendidikan Nonformal & Informal containing research articles in the field of Nonformal Education with the scope of literacy education, equality education, and community education. Indexing & Abstracting: GARUDA (Garda Rujukan Digital), Science and Technology Index (SINTA 3), Google Scholar, Directory of Open Access Journals (DOAJ). International Journal of Active Learning p-ISSN 2528-505X | e-ISSN 2615-6377 is an international, refereed publication for all those who teach and support learning in Higher Education and those who undertake or use research into effective learning, teaching and assessment in universities and colleges. The journal has an objective of improving the status of teaching and learning support as professional activity and embraces academic practice across all curriculum areas in higher education. IJCLS is a scientific journal in the field of criminal law issued by the Criminal Law Department, UNNES Law Faculty every May and November each year. IJCLS was first published in November 2016. 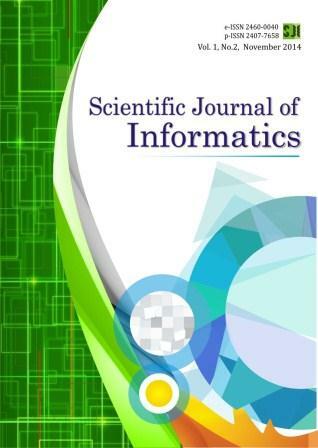 Since its first publication, IJCLS is committed to becoming a national and international reputable scientific journal. This is proven by continuous improvement both in terms of appearance and quality. Since it was first published in 2016, IJCLS has used the OJS system in full and involved several reviewers from both the internal UNNES and outside the UNNES. Starting in 2017, the IJCLS is published consistently and exclusively in English. This is done to make scientific discourse not only for the people of Indonesia but also for the international community. IJCLS and the Criminal Law Department actively participated in various scientific activities, both those carried out by the Government and the Expertise Association. IJCLS is actively involved in various activities of the Indonesian Legal Journal Management Association (APJHI), Indonesian Criminal Law and Criminology Society (MAHUPIKI), Indonesian Victimology Lecturers Association (APVI), Human Rights Lecturers Association (SEPAHAM), and Indonesian International Law Lecturers Association ( ISILL). The study and scope of the IJCLS covers the Criminal Law Sector both Formil Criminal Law and Material, Criminal Procedure Law, Comparison of Criminal Law, Political Criminal Law, Philosophy of Criminal Law, International Criminal Law, Criminology and Vitimology, Criminal Justice System, etc.